Suva, Fiji – Mutual accountability is the glue that will hold governments, private sector and civil societies together as they pursue the realisation of the Sustainable Development Goals (SDGs) says Pacific Islands Association of NGOs executive director, Emele Duituturaga. Ms Duituturaga made the comments after PIANGO’s participation at the CSO Partnership for Development Effectiveness (CPDE) Global Council in Berlin, Germany and the UNDP Asia-Pacific Regional Knowledge Exchange (RKE) in Manila, Philippines. 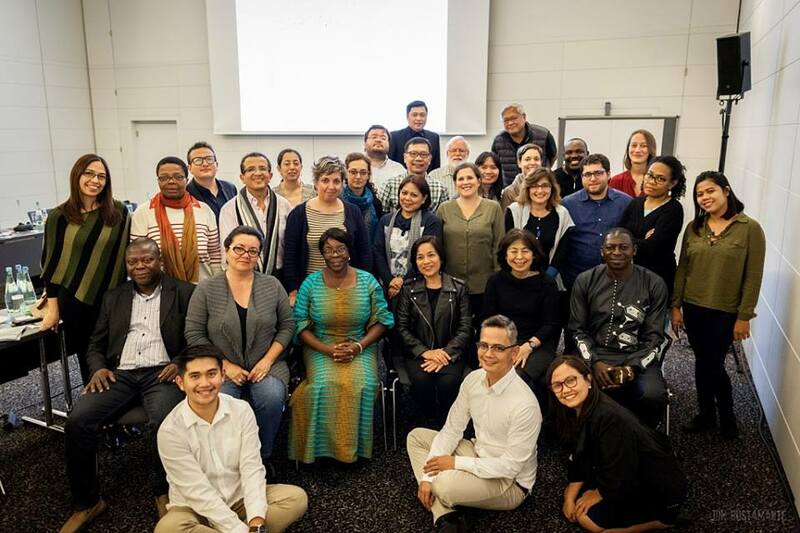 “PIANGO member affiliates and partners were in Berlin last week and a Secretariat representative was able to present in Manila about a new tool that PIANGO has developed and trialed to monitor development spaces the week before,” she said. CSO Partnerships for Development Effectiveness (CPDE) Coordination Committee pose for a photograph after their meeting in Berlin, Germany last week. PIANGO’s Vani Catanasiga (in black, 3rd row, 2nd from right) participated as Pacific regional secretariat rep in this meeting. Duituturaga said the onset of the SDGs has really helped to begin the re-engineering of paradigms and approaches to development at various levels. She said this is beginning to herald in a new practices for multileveled leadership driven by the need for cross sectoral mutual accountability. “Mutual accountability is the expectation, and in some quarters, agreement that each of these sectors and development partners will have of each other over the achievement of common goals and in the cases of the Berlin and Manila meetings, the SDGs,” Duituturaga said. “In Berlin, our Pacific representatives to the CPDE meeting expressed to their global CSO colleagues both their appreciation for solidarity as well as the need for more connections and accountability in their interactions even as they strive towards ensuring development effectiveness,” she said. Pacific representatives at the CPDE Global Council meeting in Berlin included PIANGO and Solomon Island’s Development Services Exchange’s board member, Robert Zutu, Civil Society Forum of Tonga Executive Director – Siale Ilolahia, Pacific Foundation for Advancement of Women’s Susana Tuisawau, Pacific Youth Council’s Manasa Vatanitawake and PIANGOs Programme Officer, Vani Catanasiga. She said at Manila, Philippines, Catanasiga was able to highlight the need for the UN to remain involved in ensuring national policy spaces remain conducive to the fullest participation of civil society in SDG implementation. Duituturaga said PIANGO’s next focus would be to encourage and foster the participation of Pacific governments, civil society and private sector in future High Level Political Forum (HLPF) National Voluntary Reviews (NVR). “Samoa has been the only country to participate in this process so far, Kiribati is listed for 2018 but we want to encourage others so that achievement of the SDGS in our region is accelerated,” Duituturaga said.